Hard cider production is increasingly becoming an economically attractive value-added product in the apple industry. Engaging in this new industry, in our highly regulated food production environment, requires extensive education on business planning and set-up as well as on the frequent regulatory changes within the industry. In addition, to be viable in the market place producers must keep up to date on market trends as consumers adapt to and engage with this new industry. To enable the industry to thrive continued research and education is a necessity. Little research exists on the hard cider industry that focuses on the U.S. Mid-Atlantic region. Hard Cider production in the East Coast region of the U.S. only recently became a growth industry. Currently only one study examines consumption trends of hard cider therefore further in depth surveying is needed to determine trends base on taste, purchasing methods, and to catalog new innovations in the industry. 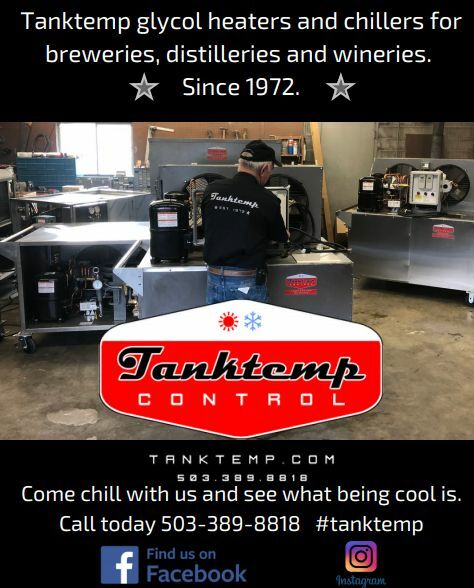 In order to keep up with growing market trends hard cider producers must continually monitor the market for preferences and trends to capitalize on and engage with customers in this evolving industry. Hard Cider consumer research was gathered via in-person interactive dot surveys at cider festivals from New York to North Carolina from October 2015 to December 2015. All 986 participants were self-identified as adult hard cider consumers. This consumer trends research sheds light on consumer preferences and trends in relation to products produced within the hard cider industry as well as how to best engage with consumers. When looking to bring new customers to the market place, 46 percent of consumers surveyed indicated that they tried hard cider for the first time because they enjoy other apple products, while only 26 percent indicated it was due to their enjoyment of wine and their relation of hard cider as a similar product. This indication, combined with the 18 percent of consumers who said they tried hard cider for the first time because they prefer to try locally made products, clues hard cider producers into why consumers are entering the hard cider market. Combined, these two groups of consumer interested in hard cider because of its relation to local or apple products shows a preference and niche market that producers can capitalize on. When comparing this data to that which drives larger commercial cider producers such as those producing the Angry Orchard brand, we can see a similarity translated in their marketing approach. By highlighting the orchard and farming practices of the production of their product, Angry Orchard is looking to capitalize on a consumer preference for locally made and apple-based products. Additionally our surveys found that the majority of cider consumer respondents have been drinking cider for 2 to 5 years (39 percent), most often drink beer when selecting an alcoholic beverage (41 percent), and consume hard cider year round (80 percent) as opposed to those who only enjoy it seasonally (20 percent). 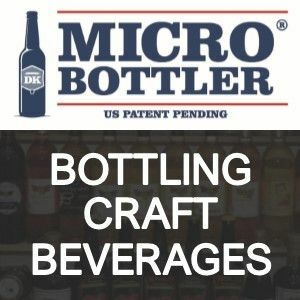 This indicates potential for a year round market that is growing in sophistication and knowledge about the beverage and follows the trend that began in the craft beer industry several years ago. If 41 percent of hard cider consumers are most often consumers of beer it provides indication that they may be looking for the same type of characteristics that set the craft beer market apart such as quality ingredients, targeted marketing, local hand crafted production techniques and the ability to lessen the gap between producer and consumer just as in the local food movement. Concerning distribution and marketing to the cider consumer base, our survey indicates that the majority of consumers are purchasing cider at bars and restaurants (37 percent) and beer distributors (29 percent). However, 16 percent of consumers purchase at tasting rooms and of the 986 cider consumers surveyed 40 percent indicated they would be willing to travel between 30 and 60 minutes to visit a new tasting room, with 30 percent saying they would travel over 1 hour. To reach these customers, 48 percent indicated they find information about the hard cider industry at festivals and 28 percent indicated social media was their main method of gaining hard cider information. When determining cider styles, surveyed consumers preferred semi-sweet (37 percent), dry (28 percent), or sweet (26 percent). Commercial hard cider business owners, head cider maker employees of hard cider businesses and producers in the process of opening a hard cider business from Pennsylvania, North Carolina, Delaware, and Virginia responded to an online survey regarding their business and marketing practices. Twenty total respondents participated in the survey in December 2015. The majority of respondents have been operating a hard cider business for less than 2 years (80 percent). Of the cideries responding, most cider makers are referring to other hard cider producers, online and print news articles and wine industry trends several times a month when looking for hard cider industry ideas. Producers are marketing to 30 to 45 year old consumers with an annual household income of $61,000 to $81,000. Their primary method of conveying information about their product to their customer is via word of mouth (94 percent), social media (89 percent) and at festivals and tasting rooms (72 percent). The majority of cider makers are selling their cider at tasting rooms or at bars and restaurants with 63 percent of respondents indicating they have their own tasting room. Fifty-two percent of respondents are marketing directly to wine or beer drinkers specifically, with 72 percent marketing to beer drinkers and 90 percent marketing to wine drinkers. Those targeting beer drinkers are primarily including hopped cider in their varieties or vending at beer festivals while those targeting wine drinkers are offering tastings at wineries and wine festivals as well as providing higher quality packaging and single variety ciders. When asked what cider producers perceived their customers were looking for respondents indicated crisp flavor, high quality and “something different” to be the outstanding markers. In response to these perceptions, when asked about innovative practices, cider makers responded by stating that they were making drier ciders and utilizing filtration techniques that result in a crisp, clean flavor. This research represents a snapshot of the evolving hard cider market from both the consumer and producer perspectives. By taking a cue from consumer preferences in both product qualities and communication methods producers are able to amend their approach so their best product can continue to be recognized and discovered by new and continuing cider consumers. The method by which consumers are seeking out information about hard cider, including where to purchase cider, is of particular importance as many producers are missing the mark by communicating using different methods or tools. 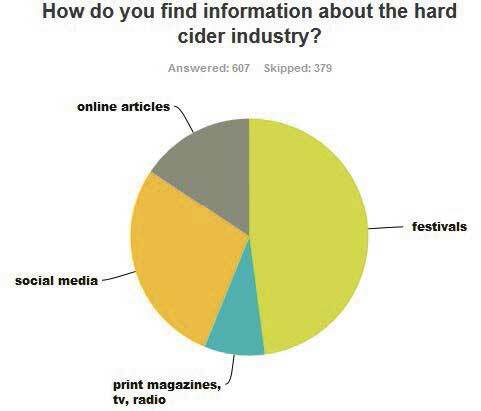 While a variety of communication and marketing methods is always best practice, survey results indicate the majority (48 percent) of consumers are gaining knowledge about hard cider via festivals and only 28 percent via social media. While creating marketing information keep in mind the strong trend in cider to follow the craft beer industry with 41 percent of cider consumers most frequently choosing beer when drinking an alcoholic beverage. This trend also holds true to consumer preference for a local, apple based product following the craft beer trend, which places emphasis on ingredient quality and a tie to the agricultural roots of the product.